Glypride 4 is marketed globally by Sun Pharma and is available at every leading online pharmacy, drugstore and medical supply store. The active ingredient present in Glypride 4 is Glimepiride. Glimepiride is used in the treatment of type 2 diabetes mellitus in adults. 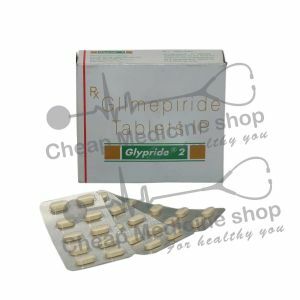 Glypride 4, that contains 4 mg of Glimepiride, is manufactured by Sun Pharma. It is mainly marketed and supplied by the company and its associates in India and is available at every leading online pharmacy, drugstore and medical supply store. 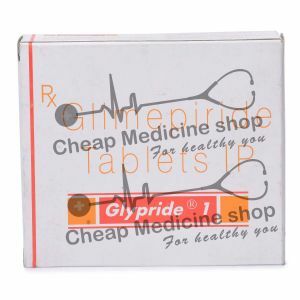 Glypride 4 contains 4 mg of Glimepiride. Type 2 Diabetes Mellitus: It is a long term metabolic disorder. This disease is mainly characterised with high blood sugar level, low insulin resistance, and relative lack of insulin production in the body. The main symptoms of this condition include increased thirst, frequent urination, increased hunger and unexplained weight loss. Glypride 2, that contains the salt Glimepiride works mainly by stimulating insulin release from pancreatic beta cells. Glimepiride acts by closing potassium channel in beta cell membrane and this leads to opening of calcium channel due to depolarization. This leads to release of insulin through exocytosis. This drug also has an extrapancreatic effect: the drug improves the sensitivity of peripheral tissue for insulin and also decreases insulin uptake by liver. This drug increases the number of glucose transport molecules in the plasma membrane of muscles and fat cells and thus increases the glucose uptake. Thus this drug reduces the glucose level in the body. How To Take Glypride 4? Glypride 4, that contains the salt Glimepiride, should be taken taken shortly before or with a substantial meal (ideally, your first meal of the day). 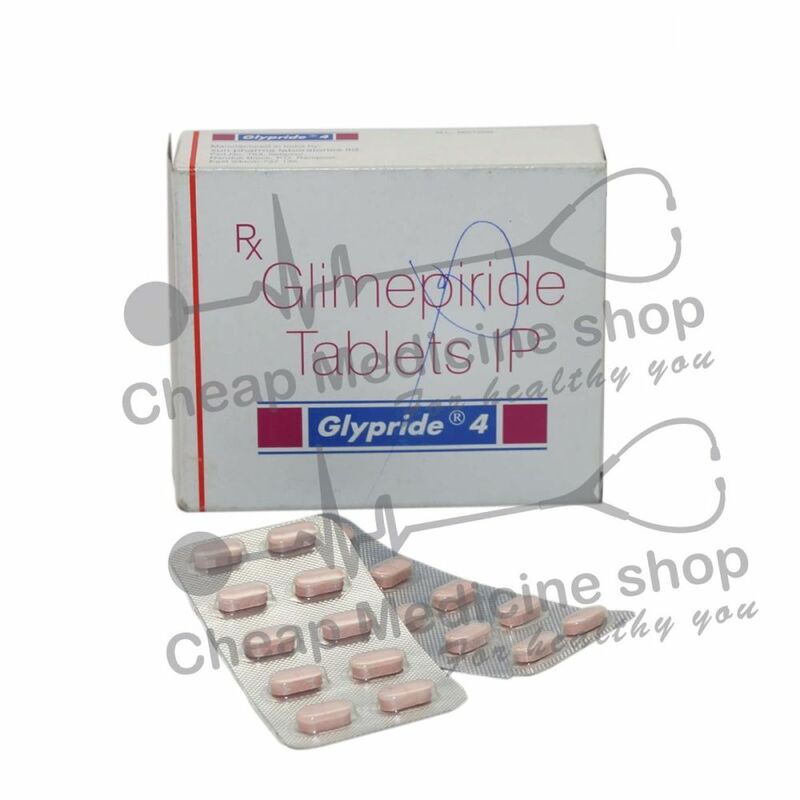 Glimepiride, the active salt present in Glypride 4 is available in dosage which ranges from 1 mg to 6 mg at all the leading online pharmacies, drugstores and medical supply stores. A more specific dose may be directed by your doctor. How long should I Continue Taking Glypride 4? Missed Dose Of Glypride 4? If you have Glucose-6-phosphate dehydrogenase deficiency. If you have hepatic impairment. If you have stress-related problems. Do not take Glypride 4 if are allergic to the salt or any of the excipients present in the formulation. Possible effects of an overdose may vary from person to person. Seek medical care as early as possible in case overdose is suspected. Tell your doctor if you have an allergy to Glimepiride or any of the excipients present in the formulation. If you have any intolerable side effects, tell your physician. Before you start taking any new drug, tell your physician. Do not use the drug longer than what you are asked to as there is a risk of a second infection. Do not drink alcohol while using this drug because it can weaken the hypoglycemic action of the drug.